Sato requests refund or replacement components. If Shenzhen Zancn Technology Ltd. request defective times, Sato requests the following shipping and handling fee. To prevent non-replacements, Return of defective products is made after arrival of a substitute item. EP2C5 から基板上に接続された memory, video, audio device に試験をした. テストした基板は SMD 以外のコネクタは未実装の状態である. コネクタは単価が高く外せない. 信頼性に欠ける状態でコネクタを付けるのはそれを無駄にしてしまうため. 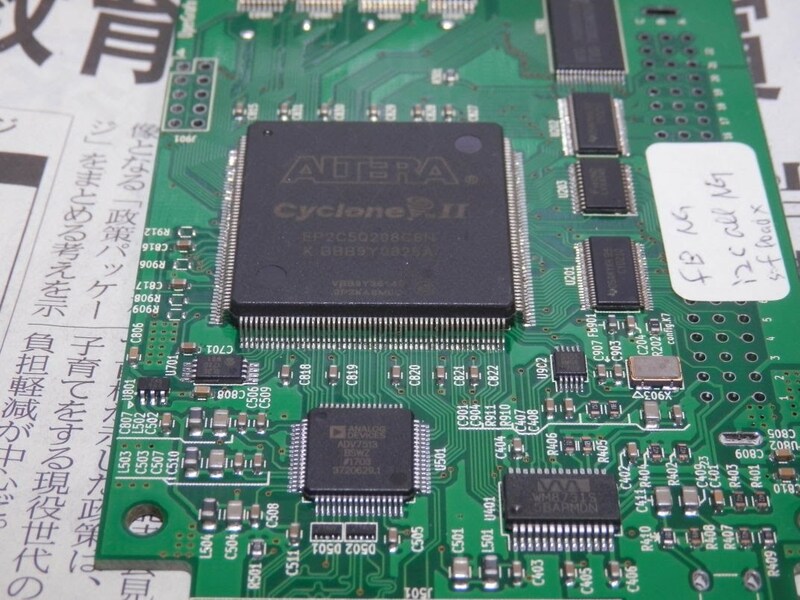 The PCBs is designed by Sato, the diagnoser is programmed by Sato. EP2C5Q208C8N tests connected memory, video and audio device. 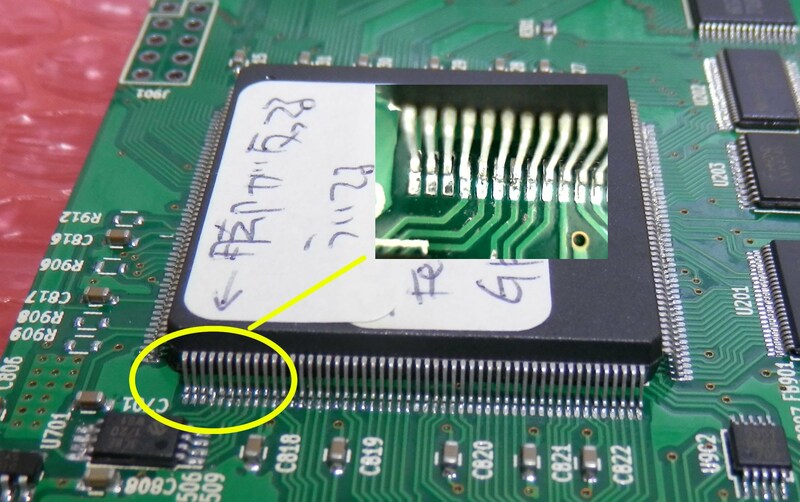 The tested PCB are not soldered non-SMD components. Because the connector is higher price and unremovable. 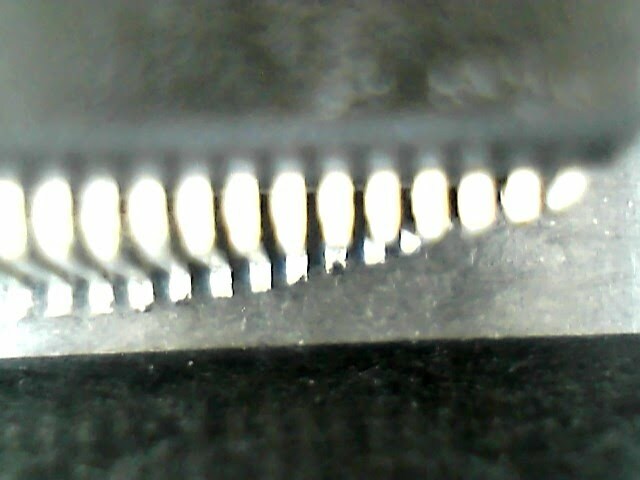 We don't hope lost the connector by bad condition ICs. The power source was connected to the hole where the connector was originally attached. The diagnoser display the result on the PCB via USB connection. When EP2C5Q208C8N or USB connection is not worked, we assign it as "diagnoser is not worked". 検品 198 のうち、試験通過は 46. EP2C5 が物理的損傷で試験ができないのが 45, EP2C5 があっても試験ができない基板が 62 である. The count of tested PCBs is 198. The count of QC passed PCBs is 46. Untestable PCBs is 45 because of physical damage. 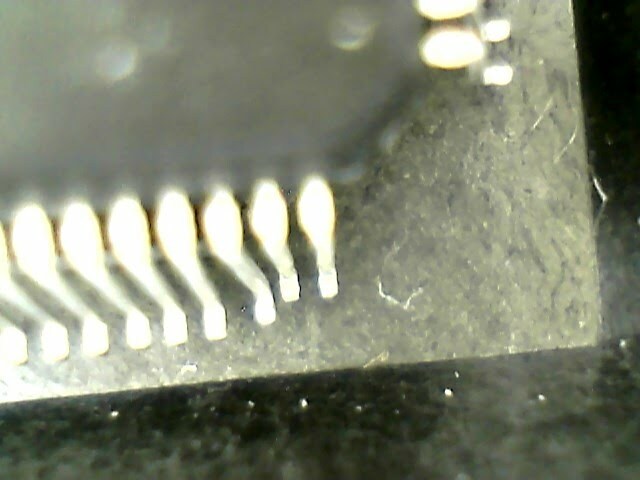 Untestable PCBs is 62 by internal error or USB connection. 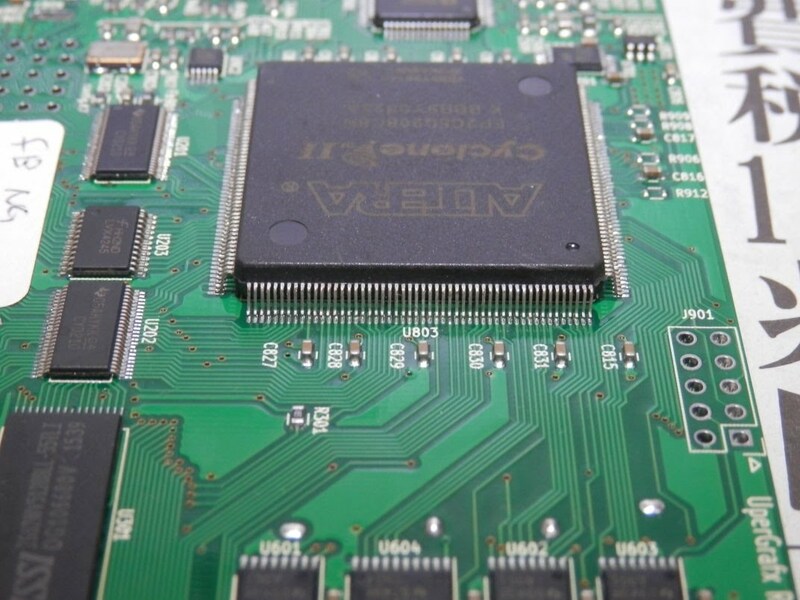 SMD components may pass testing but without populating the rest of the components it's not possible to test completely so the actual number of functional PCBs may be smaller. The count of QC passed PCB is 46/200, percent defective is 77%. Please check following URL for high resolution photos. 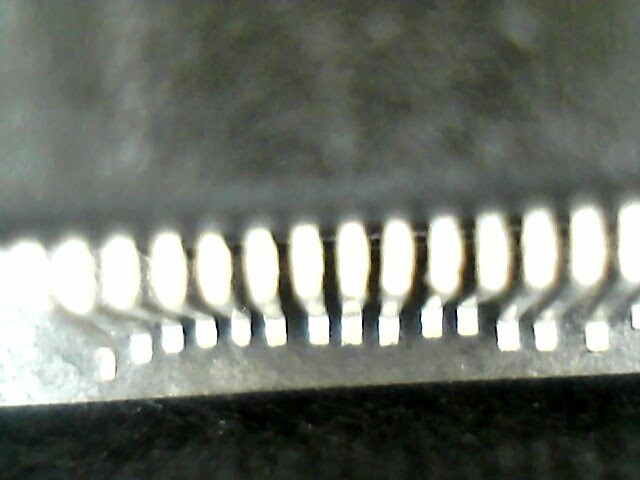 Unsolderable ICs by missing legs or uncorrectable legs. 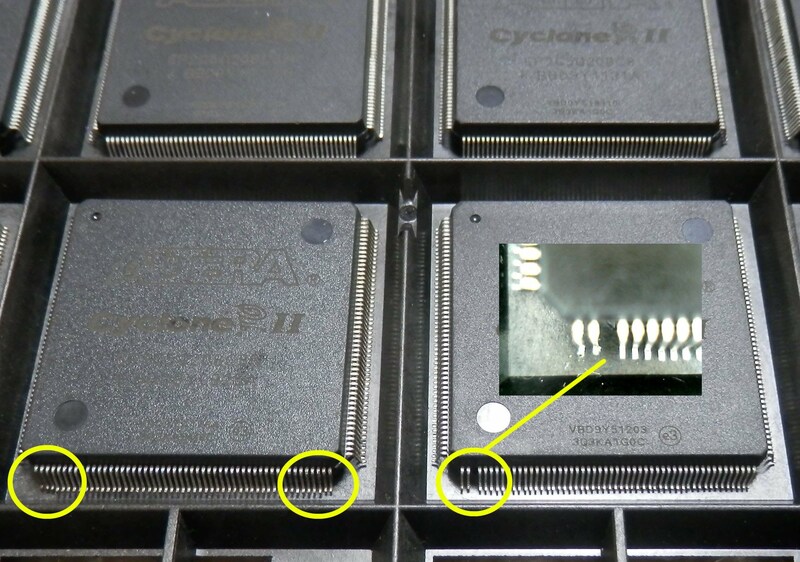 And assembler tried to solder, ICs were comed unstruck and dropped from the PCBs by many oxidized legs. 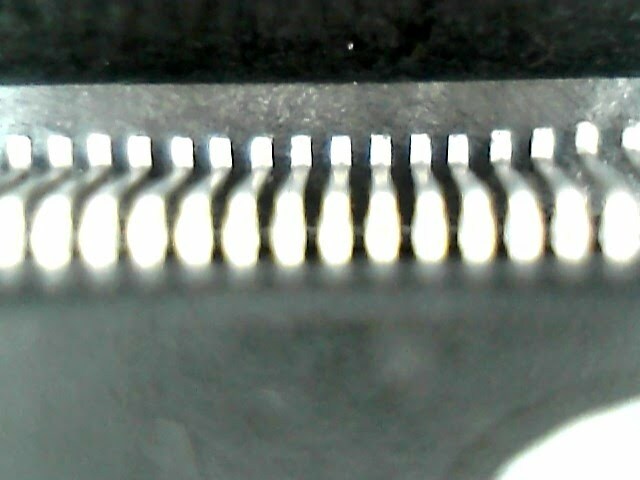 The ICs has many loose wire by oxidized legs. The diagnoser detected many problem points. EP2C5Q208C8N has internal error on basic parts. The diagnoser cannot be executed. The diagnoser founds one error. We know it can improve by replacement compnents. EP2C5Q208C8N が酸化脚または内部損傷のため、該当部品のみを純粋にテストできない. memory error が原因の不良率が 46% と高いためテスト未到達分全ての弁済を要求する. 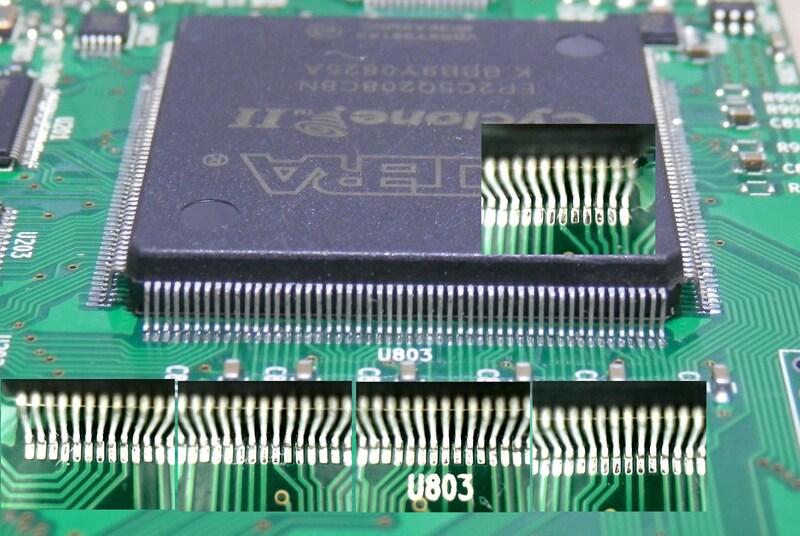 The PCBs has loose wires by oxidized legs or internal error. The diagnoser cannot purely test only the target components. Sato requests the refund to all untestable components. Because the memory error percent defective is 46%.